If you are looking for diamond ring for your future fiance, you may be finding that diamond prices are steadily increasing. Bloomberg News reported on May 7, 2014, that De Beers, a major influence in regards to the price of diamonds, plans to increase their prices 5 percent every year. Consider a GIA certified, natural HPHT diamond with top-tier characteristics and pair it with a classic, 18KW gold setting. HPHT diamonds are simply Type IIa diamonds that have had their color permanently adjusted to top colorless grades. They naturally carry exceptional clarity. GIA certified, natural HPHT diamonds often have exceptional cuts, some even with "Triple Excellent" ratings. This translates into maximum sparkle. 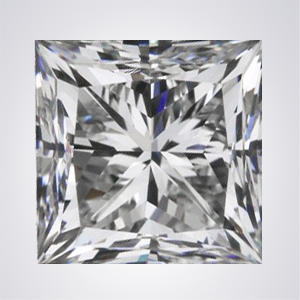 $9,500: 1.51 ct Round Brilliant Diamond. GIA certified, natural HPHT diamond. F color, VVS2 clarity, Excellent cut. $385: TR16 - Traditional Solitaire. Inspired by world-acclaimed Tiffany design, this setting is simple, classic, and elegant. Price listed is for 18K white or yellow gold. 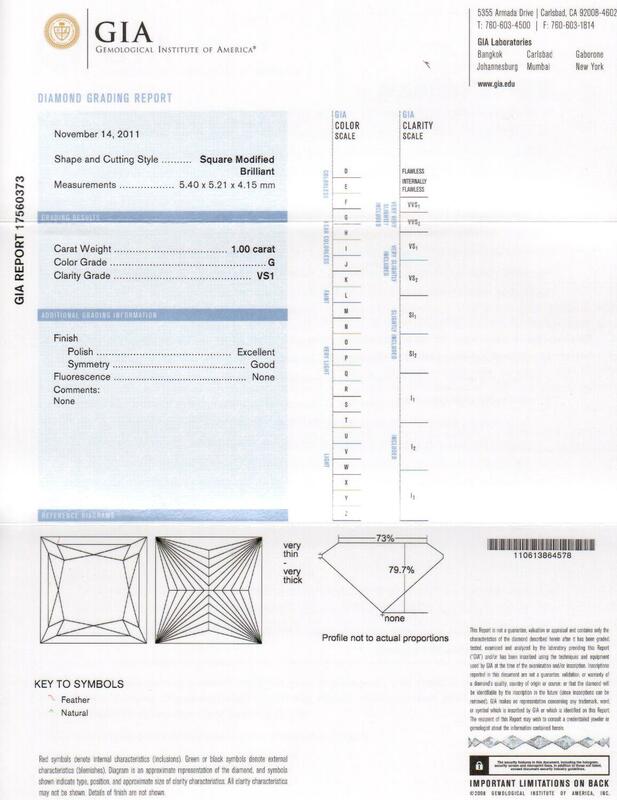 Consider a clarity enhanced diamond. These diamonds have had their inclusions removed to improve their original clarity. Many couples will choose clarity enhanced diamonds to get a larger diamond for less money than a non-enhanced diamond. $9,785: 3.00 ct Princess Cut Diamond. E color, SI2, colorless and eye-clean. Top measurements: 7.67 x 7.84. $214: Ask about special pricing with a 14KW ring setting with the purchase of this 3.00 ct Princess Cut Diamond. $4,458: The KS2118-R. A delicately hand-engraved ring from the Audrey collection. 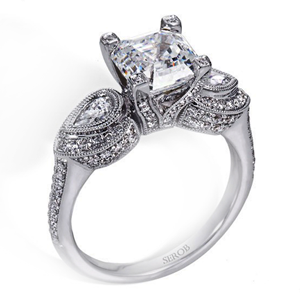 It resembles a blooming engagement ring with a longer lifespan trend-wise. 0.77 tcw diamonds on the sides not including the center stone. Made with lavish platinum metal.